Free First Wednesday 10:00am-8:00pm First Wednesdays offer free general museum admission only; special ticketed exhibitions not included. Free Third Saturday 11:00am-5:00pm This offer is for free general museum admission (special ticketed exhibitions are not included). In addition to free general admission, the UMFA also hosts a free art studio program for families every third Saturday from 1-4 pm. Free for Military Families The UMFA is pleased to recognize active duty military personnel and their immediate family members by providing them with free general admission. This program is available to any bearer of a military ID who is an active member of the Army, Navy, Air Force, Marines, Coast Guard, National Guard, or Reserve. Some special or limited-time museum exhibitions may not be included in this free admission program. 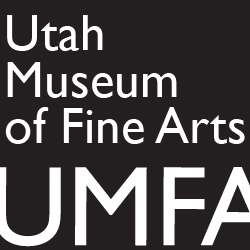 The Utah Museum of Fine Arts is located in the Marcia & John Price Museum Building at the University of Utah, 410 Campus Center Drive, Salt Lake City, UT 84112-0350.